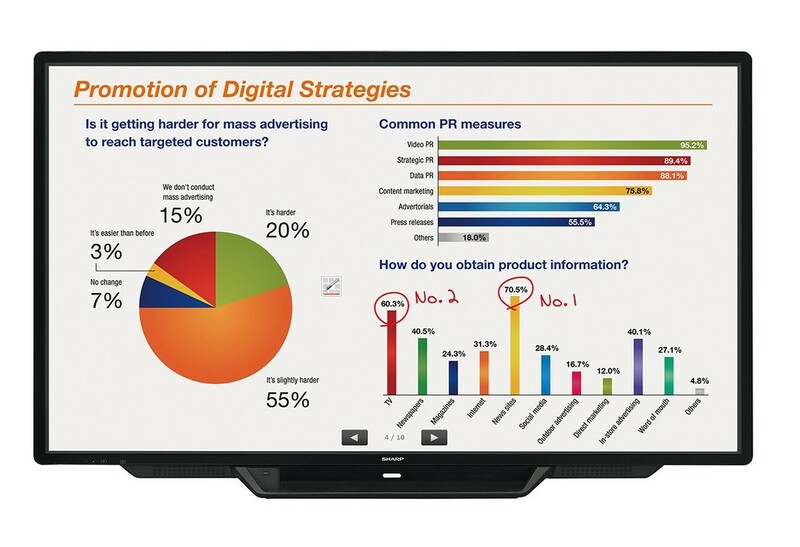 The Sharp PN-L803C is a full HD interactive 80" thin LED touch panel with annotation capabilities, use the included 2 pens or with 10-point multi-touch with your fingers. Annotate and draw over images with ease, use just like your phone with pinch and zoom capabilities. Up to 4 simultaneous users can write at the same time. 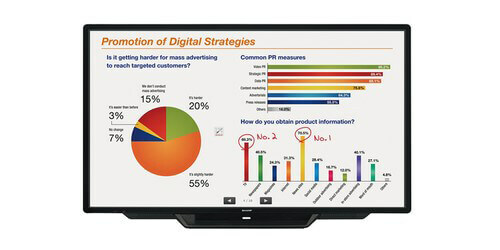 Integrated are a white board, speakers, and the ability to save and print images and even annotated images. The screen puts out a bright image so lights don't need to be turned down for ease of use. Up to 3 units can be mounted side-by-side allowing for multi board function. A computer needs to connected to open up the potential of the Aquos Board, you can use Microsoft Office, web conferencing such as Go to Meeting, the possibilities are endless. If you want a computer made specifically for the Aquos Board then you can optionally purchase the PN-SPCi5W7, it is a compact computer that attaches to the back of the panel.